LEFTFIELD - Neil Barnes and Paul Daley - one of electronic music's all time greatest acts - has announced the release of Leftism 22, a very special reissue of their seminal debut album Leftism, which will be available to May 5, 2017 via Sony CG. Leftfield was formed in 1989, before emerging publicly in 1990 with "Not Forgotten," a song that established a template for a new strain of British house music, leaning away from American styles dominating UK clubs. Released in January 1995, their debut album Leftism remains one of the defining statements of dance music, a gloriously inter-woven bombardment of musical styles and immaculate grooves, nominated for a Mercury Prize and later voted in the top ten greatest albums of all time by readers of Q Magazine. The album spawned numerous hit singles in "Open Up" - their now legendary collaboration with John Lydon, "Original" featuring Curve’s Toni Halliday, "Release the Pressure" featuring Earl Sixteen, and "Afro-Left" with vocals by Neil Cole a.k.a. Djum Djum. Leftism 22 arrives 22 years on from the release of the acclaimed original, in a remastered version overseen by Leftfield’s Neil Barnes (who now runs the band solo) and Paul Daley. It will be available in a limited edition 3xLP vinyl, mirroring the original release and will include download codes for the remastered album and new mixes will be included. Plus digital and 2xCD editions that will feature the original album remastered, as well as all 11 original tracks remixed by a host of artists, including Skream , Adrian Sherwood, BodyJack and Voiski, making 22 tracks in total. 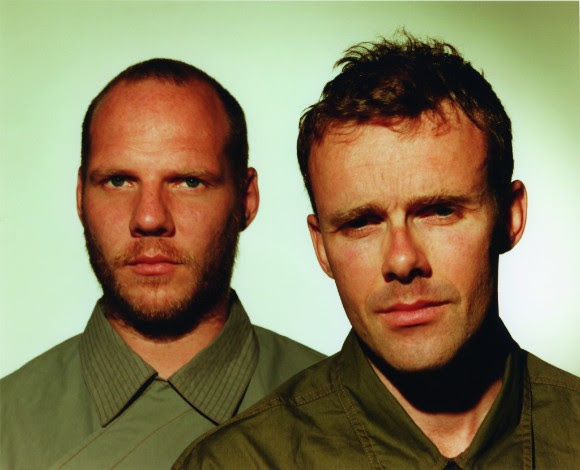 Throughout the 90s Leftfield were untouchable live and on record, starting a snowball rolling for British dance music alongside outfits like Orbital, Underworld and the Dust / Chemical Brothers in breaking electronic music from the underground, onto the stage and into the charts. They have always been regarded as one of electronic music’s defining live acts. The now-infamous Liveism tour that followed Leftism’s release set a new precedent in sonic presentation as the behemoth sound system, which aimed to replicate the cataclysmic bass effect of reggae sound systems, incurred more complaints than Motörhead, and a ban from Brixton Academy when plaster started flaking from the ceiling. The tour elevated dance music from anonymous club PA to major event, with guest vocalists joining the party.